Before we look at what causes a fatty liver, let me tell you what the liver actually does. It is the second largest organ in the body. The liver is actually, in layman’s terms, a big sponge like filter and within this sponge flows blood. The liver, which incidentally has highly specialised cells that filter your blood for various impurities and removes excess fat from the blood. It also processes what you eat and drink into energy and nutrients your body can use. Therefore, if a person has a fatty liver it means the liver is filtering blood with too much fat in it. The fat is distributed to areas around the body: stomach, bum, hips and thighs. A fatty liver contains a disproportionate amount of fat that has replaced normal liver tissue. 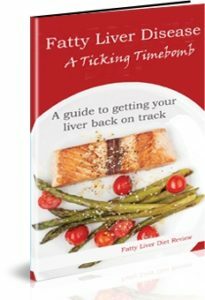 If you want to find out more on how you can reverse fatty liver disease in almost every case then Click Here. One thing you ought to know is that if you have Fatty Liver Disease, you are not alone. 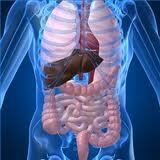 It has been estimated that over 50% of overweight Americans have non alcoholic steatohepatitis (NASH). These findings are also common in most westernised countries. What Causes a Fatty Liver and when is it a problem? The causes of fatty liver are as follows. There are two types of fatty liver disease, alcoholic (AFLD) and non-alcoholic (NAFLD). Alcoholic Fatty Liver Disease has one primary cause: the excessive consumption of alcohol. The way it works is the ethanol that is found in alcoholic drinks contributes to excessive fat accumulation in the liver. It blocks the oxidation of fatty acids and causes a slower release of low density lipoproteins into the blood stream which are responsible for moving fatty acids out of the liver. When more fat enters the liver than goes out, the inevitable happens, the liver stores any excess fat. This can be reversed when a person stops drinking alcohol. Non Alcoholic Fatty Liver Disease (NAFLD), is again the build up of extra fat in the liver cells only not caused by alcohol. It is normal for the liver to store some fat. However if 5% – 10% of the livers weight is fat, it is classified as fatty liver (steatosis). NAFLD tends to develop in people who are over weight or have diabetes, high cholesterol or high triglycerides. Rapid weight loss and poor eating habits may also be contributing factors to NAFLD. Non Alcoholic Fatty Liver Disease may cause the liver to swell (steatohepatitis). A swollen liver may cause scarring (cirrhosis) over time and may lead to liver cancer or liver failure. An important factor to bear in mind is often there are no immediate symptoms and people can have fatty liver disease for years before symptoms appear. If your interested in finding out more about what causes a fatty liver are and how to reverse it then click the link below. This entry was posted in Causes of Fatty Liver and tagged causes of fatty liver, what causes a fatty liver on April 21, 2019 by .